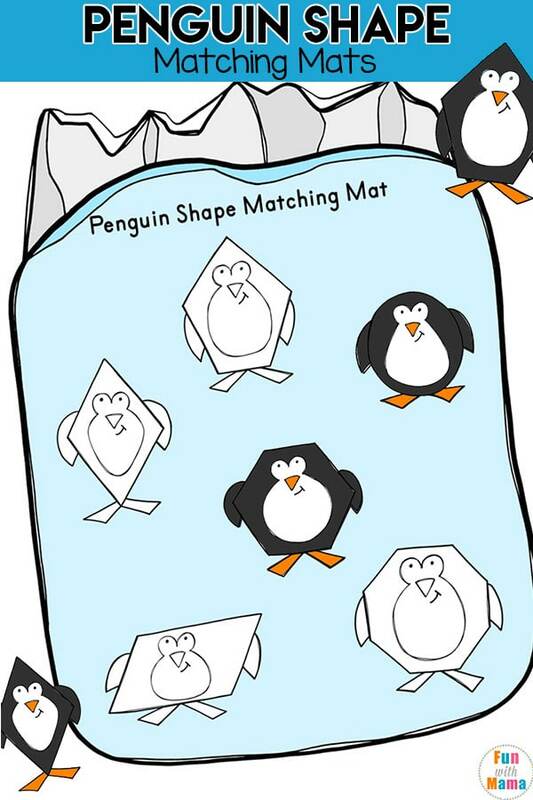 A great way to learn a variety of 2d shapes this winter is with these fun Penguin Shape Matching Mats. 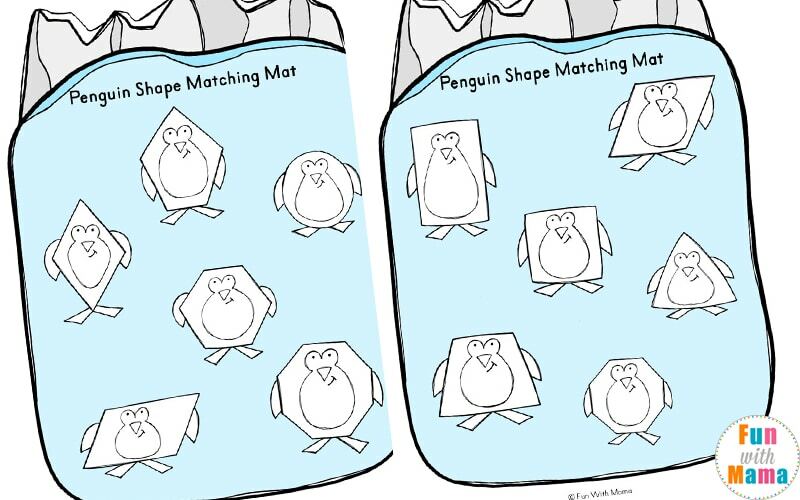 These mats can be used to help children learn to recognize the different shapes as they match the colored penguins to the ones in the water. 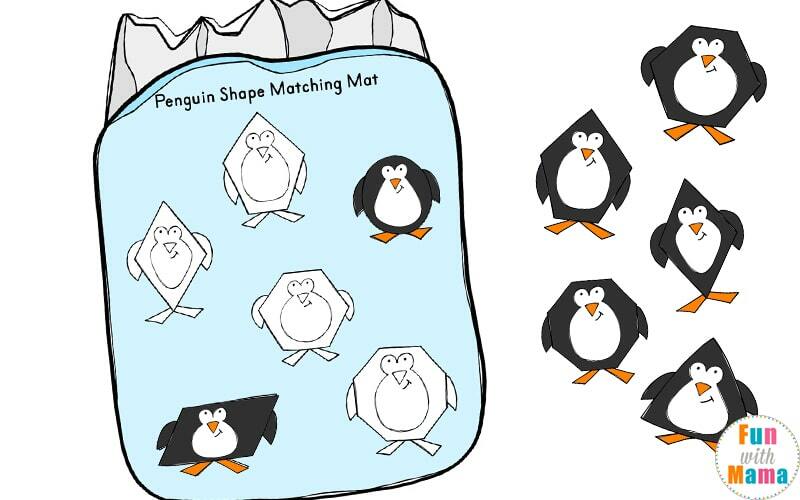 These penguin shape matching mats are great for kids who enjoy learning about shapes. 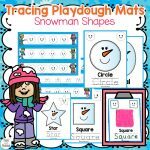 They can practice learning their shapes while building their fine motor skills by cutting and pasting the matching shapes. 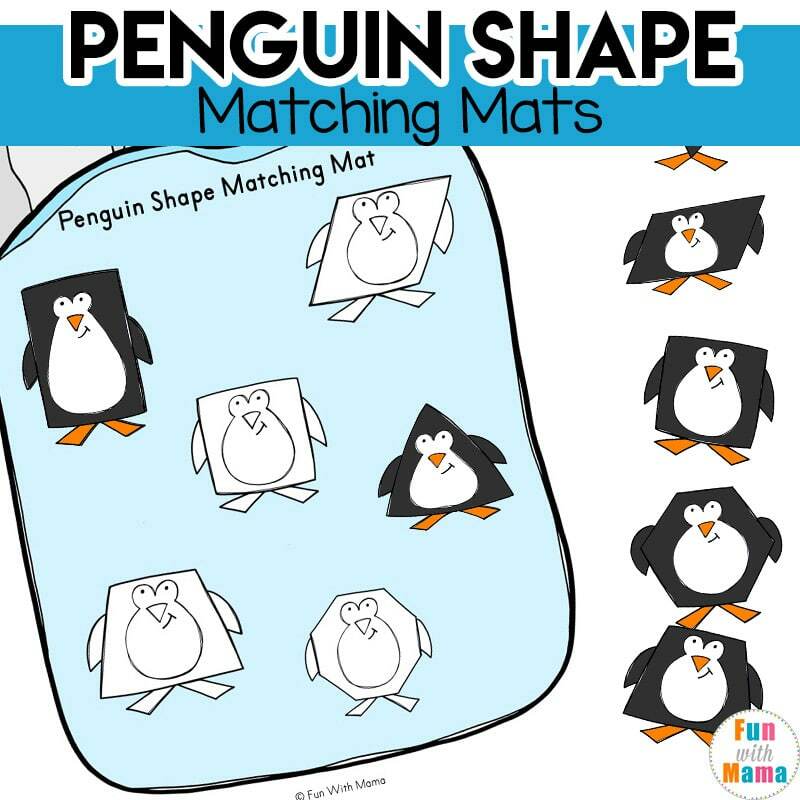 This Penguin Shape Matching Mats printable pack contains 2 printable mats. Once printed out, cut out the colored shapes and laminate them as well as the two water mats. Velcro dots can be placed on the shapes on the mats as well as on the back of the shapes. Laminate the mats and have your child decorate the shapes on the mats with a dry erase marker. They could also practice writing the name of the shapes as well. This is a great idea if you have multiple children and wish to reuse the mats. 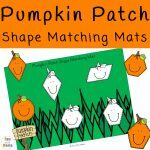 Laminate the mats and have your child place the included shapes onto the correct shapes on the pumpkin patch mats. 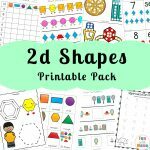 Pair this activity with more weekly shape themed fun below! 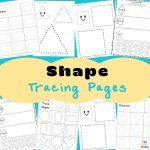 Game Theme: Shapes Mystery Hunt Activity using puzzles you have at home.